In that capacity he has worked inside and outside the rails at the State Capitol since 2004. He has over 15 years of government and political experience at all levels in Louisiana. He has extensive knowledge of the state legislative process and has experience in local, state and federal campaigns. Josh serves on several boards for various community non-profits, including LSUE Foundation Board and the Chitimacha Louisiana Open. Josh is a graduate of the Acadia Parish Chamber of Commerce Leadership Excel and was honored as one of Acadiana’s “Top 20 Under 40” in 2013. Josh also was a candidate for Man of the Year in 2009, for the Leukemia & Lymphoma Society in Lafayette Parish. Josh is an avid golfer and a member of the Lafayette Area Football Officials Association (LAFOA), the Mississippi Association of Community & Junior Colleges (MACJC) and the Great American Conference (GAC) as a football official. 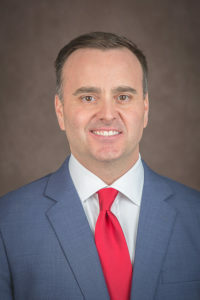 A native of Crowley, Louisiana, and graduate of the University of Louisiana at Lafayette, Josh currently resides in Broussard with his wife Tonya Peterson Borill and their two beautiful daughters Reese and Rhyan.